PRWeek, part of the Brand Republic group, which includes Campaign, Marketing and Media Week, will introduce digital subscriptions this summer. The online strategy will be implemented on a rolling basis from July. Subscribers to PRWeek will be offered a range of packages giving access to PRWeek in print, online, and to the wider Brand Republic group of websites. As part of the move Haymarket Business Media’s Brand Media division, which publishes weekly magazines, numerous websites and produces live events such as Media 360 and the Media Week Awards, will now be simply known as the Brand Republic Group. The Brand Republic Group attracts in excess of 700,000 unique users every month across its editorial sites and is the most comprehensive resource for news, analysis and business insight for marketing and communications professionals in the UK and across the globe. 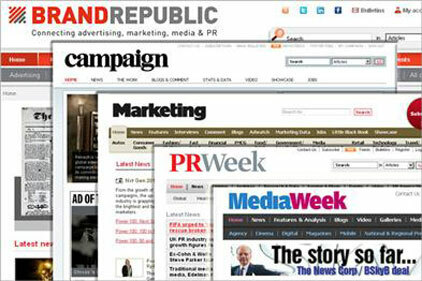 The Brand Republic Group of websites will offer a mix of free and paid-for content. Access to jobs and blogs will remain open across the network, while its news services will adopt a metered approach, with registered users being able to access a number of stories each month before being asked to subscribe. Analysis, research and comment, people directories such as PRWeek’s Powerbook. Campaign’s A List and Marketing’s Little Black Book, and the extensive resources such as the School Reports and The Work will only be available to subscribers. Current online users and print subscribers will be offered varying pricing structures depending on digital or print preferences, giving readers flexibility over how they access content. Members will also benefit from a new Brand Republic Subscribers Club offering discounts on conferences and events, and premium services including improved digital products that will deliver content to readers across multiple platforms.